For watchers of West Bengal politics, Mamata Banerjee's pyrotechnics is nothing new. But her firebrand ways have certainly taken the larger national audience by surprise, many of whom are only now beginning to take her as a serious player on the bigger stage. Make no mistake, the Bengal chief minister's 'spontaneous' outpouring of anger over close aide Sudip Bandyopadhyay's arrest is an attempt to send multiple messages on many fronts. The wily veteran sees the CBI move as an opportunity to pitchfork herself as the prime minister's fiercest competitor and through a series of calibrated steps, is preparing the ground for a sustained campaign against Narendra Modi. It would seem a little contradictory to propose that the arrest of two top TMC leaders in the space of a week on charges of graft presents a political opportunity for Mamata, more so at a time when the prime minister has declared an all-out war on corruption. Be it connection with multi-crore ponzi schemes, the menace of 'syndicate raj' or Narada scandal, Trinamool Congress has never been too adrift of corruption charges. If Bandyopadhyay and Tapal Pal are now in CBI custody for their alleged links with Rose Valley, party MP Kunal Ghosh and Bengal's ex-minister Madan Mitra have already served jail time in connection with Saradha scam. Not to speak of Srinjoy Bose, another party MP who was arrested earlier and is now out on bail. Logically, the tightening of CBI noose around key TMC figureheads should worry the Bengal chief minister who says the PMO is orchestrating the arrests. 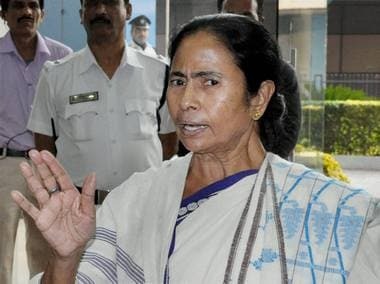 Talking to the media on Tuesday after Bandyopadhyay's arrest, Mamata hinted at possessing credible information that more of her party's senior leaders would now be targeted. If this sounds like "fear" to an untrained ear, it isn't. Behind this overt political posturing lies Mamata's cold calculation that CBI has become a discredited agency and no one seriously believes in its independence. Therefore, playing the victim card at this juncture would not only gain her public sympathy, it may also bring support from other political parties, many of whom have similar fat to burn against the BJP. As if on cue, the Congress came calling. Putting behind the Assembly poll frostbites, Sonia Gandhi's close aide Ahmed Patel, according to media reports, made the crucial call and after a quick internal meeting Congress party spokesperson Randeep Surjewala came out all guns blazing, accusing Modi of targeting Mamata because "she made the mistake of holding a joint news conference with Rahul Gandhi" against demonetisation. 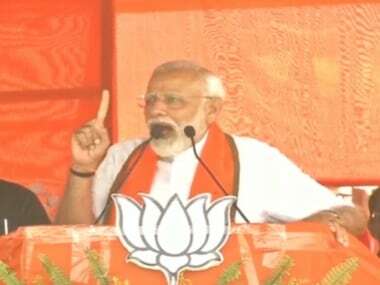 A mass leader herself with tremendous ground connect, Mamata well understands that Modi's popularity hasn't taken a major beating despite a hugely risky and largely botched up demonetisation drive and his grip over BJP's power structure hasn't loosened. To take on such a formidable adversary on a turf she isn't too familiar with, she'd be needing all the help she can muster. This calculation was at work when she dialed the number of several Opposition leaders on Tuesday seeking a larger coalition around CBI arrests, a logical continuation of the fragile unity she had forged out of the demonetisation fire. 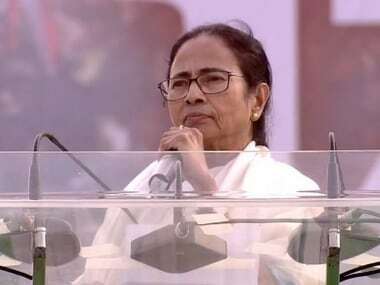 According to The Telegraph, the Bengal chief minister spoke to several leaders hoping to strike a chord of victimisation. "They are threatening people all the time. Sometimes it's Arvind (Kejriwal), sometimes it's Soniaji, sometimes Mayawatiji, sometimes Laluji. Everyone. Some are scared and therefore quiet. But everyone is unhappy… I will request everyone to hit the streets to stop Modi," the newspaper quoted her, as saying. 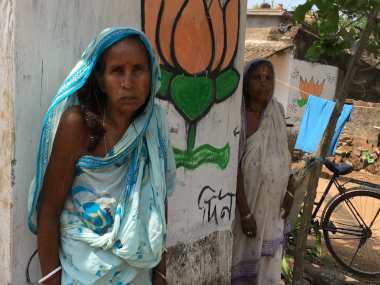 Her call of "hitting the streets" against Modi was answered so enthusiastically by party activists that by Wednesday afternoon, reports had poured in of widespread and sustained attacks on BJP's Bengal units. Tuesday's attack on BJP's Kolkata office and workers and vandalising of vehicles was followed by the bombing of BJP district President Krishna Bhattacharya's residence, who according to a report by Financial Express suffered injuries during the 9.30 pm attack. Elsewhere on Wednesday, Hindustan Times reported incidents of TMC leaders and supporters blocking arterial roads at different points across Bengal while reports also emerged of BJP party offices being demolished in two areas — Canning in South 24 Parganas and Durgapur in Burdwan district. In between, BJP's Union minister Babul Supriyo took to Twitter to allege on Wednesday that "TMC goons (were) trying to 2 break open the gate of my apartment in Kailash Bose Street where my MumDad are staying" (sic). 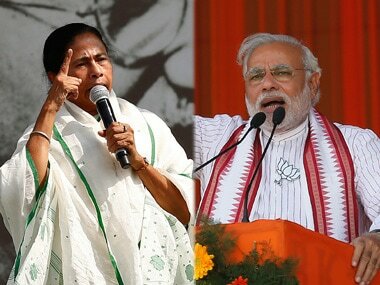 This escalation of violence and confrontation tactics aren't just an internal assurance to beleaguered colleagues that the party will stand by their side despite CBI cosh, but also a message to the Opposition at large that she remains the "immovable object" to Modi's "unstoppable force". This serves two purposes. Apart from the hopes of rekindling the 'Third Front' fire, this also pitches her in direct confrontation with Modi — a scenario that the prime minister's political rivals dream of and assiduously work towards. Mamata is getting ready for the long haul.